Public House aims to satisfy a new generation of wine drinkers, who find traditional wines—touting notes and tannins—pretentious. 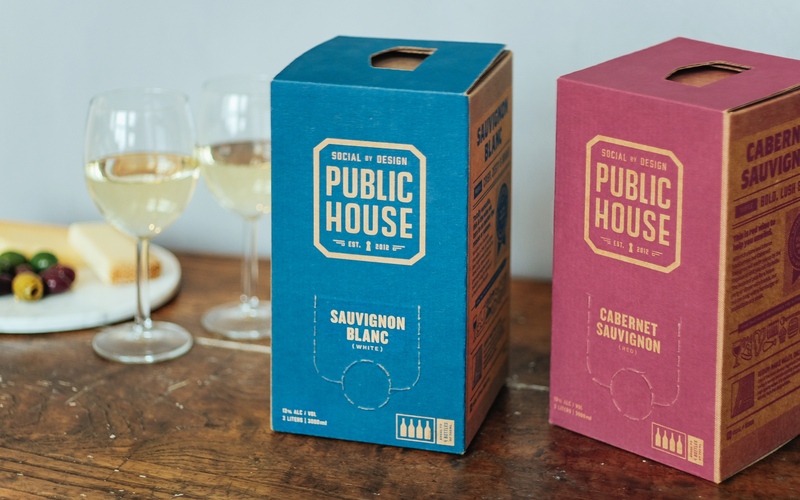 For Public House, drinking wine is all about relaxing amongst friends, sharing their day, and feeling at ease. From the opening instructions, to the benefits of boxes over bottles, information is bite-size and digestible. Icons and witty copy make pairing this wine easy and the overall approachable feel makes any novice feel at comfortable. Built with Siteleaf, using Bourbon Neat.